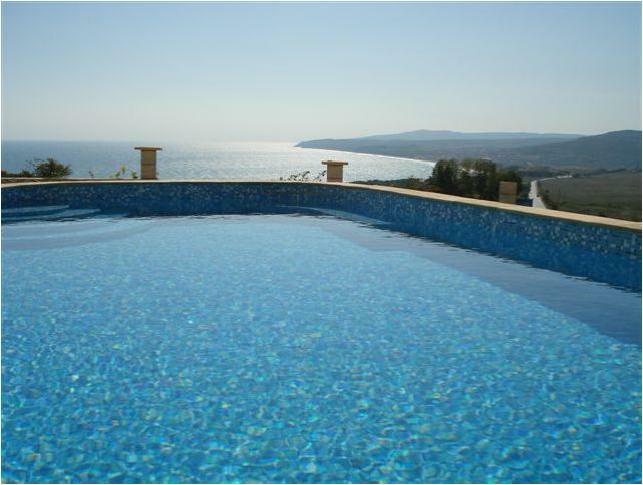 This lovely villa is located in a small complex with big shared swimming pool. This is one storey house consisting of three bedrooms, two bathrooms, kitchen, lounge and a good size conservatory. Also there is a garage. Things to do in and around Obrochishte. Obrochishte offers you the chance to relax on your balcony in a traditional Bulgarian house with modern interior, including electric cookers, and showers but overlook a village dominated by native Bulgarians going about their ordinary lives with their donkeys, their allotments, and their generally relaxed way of being. The nearest beach is in Albena approx 5 ? kilometers. • Freedom to explore the surrounding countryside. Albena is a heroine from a famous Bulgarian novel and her graceful name suits perfectly this superb northern Black Sea beach resort. It sits between lush wooded hillsides and boasts a magnificent clean sandy beach. Albena is considered one of the most exclusive resorts on the coast. Albena is a large and modern holiday centre with an excellent selection of bars, cafes and restaurants, and the large hotels can offer daytime visitors a great range of spa, health and beauty treatments if you are in the mood to pamper yourself. Lots of activities going on, in Albena including daytime sports, evening entertainment, discos and taverns, and two bazaar like shopping centres. Ideal for the whole family as bathing is safe, with lifeguards and there is little traffic on the complex. Kranevo has a sandy beach and calm water, which the Bulgarians hoped to keep a secret from us. Situated on the southern side of Albena, it is not overcrowded and offers much less in the way of tourism. However, you can swim, eat out in one of the numerous restaurants or just enjoy a beer. It is much cheaper and less developed than Albena. A must if you want to meet the locals. St. Konstantin is a particular favourite of ours. It is picturesque and one of the oldest resorts on the Black Sea coast. Small copses of trees lead onto small, sheltered sandy beaches with lots of rocky coves and inlets. The resort has a huge natural spa, which for a minimal cost you can enjoy all day. It has a bar, changing rooms, and shower facilities. You can also enjoy a massage from one of the booths. Varna is the third largest town in Bulgaria, with an airport, a sea -port, an impressive cathedral and offers plenty of opportunities for retail therapy. Approx 20 minutes drive from our villa. It also has its own beach with numerous beach bars and restaurants.